It still has a long way to go before it will really challenge the Apple iPod but Microsoft's Zune is on its way. This week a Microsoft executive said more than one million Zune players have been sold. Microsoft's aim was to reach the million mark by the end of June this year but it's beaten its own target. Robbie Bach, president of Microsoft's entertainment and devices division, revealed that the goal has been reached in an interview with the San Francisco Chronicle . The new figures gives the Zune 10 per cent of the hard disk based portable music player market, according to Bach. "It's a good start. It's not an overwhelming start. I'm not going to pretend it's some gigantic move," he said. For every Zune sold, Apple has sold 25 iPods. 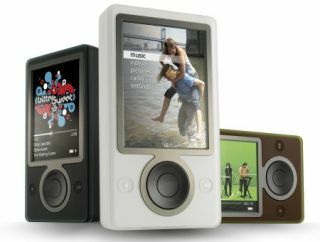 It sold around 25 million iPods in the past nine months - the same time it has taken the Zune to reach the one million sales mark. During the first three months of 2007, Apple sold 10.55 million iPods.